Armoires are storage saviors that work in almost every space and can instantly add function where you need it most. And with styles updated for today’s storage needs, you won’t need to look any further for a modern storage solution. 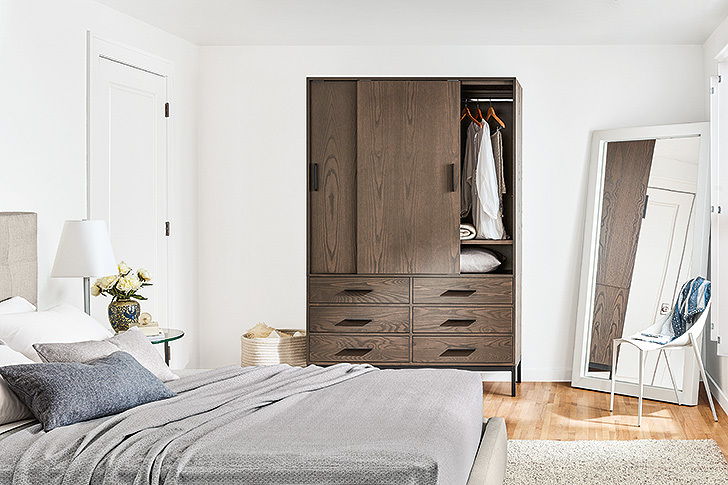 Our Hudson armoire looks just as much at home in the bedroom above as it does in the office below. 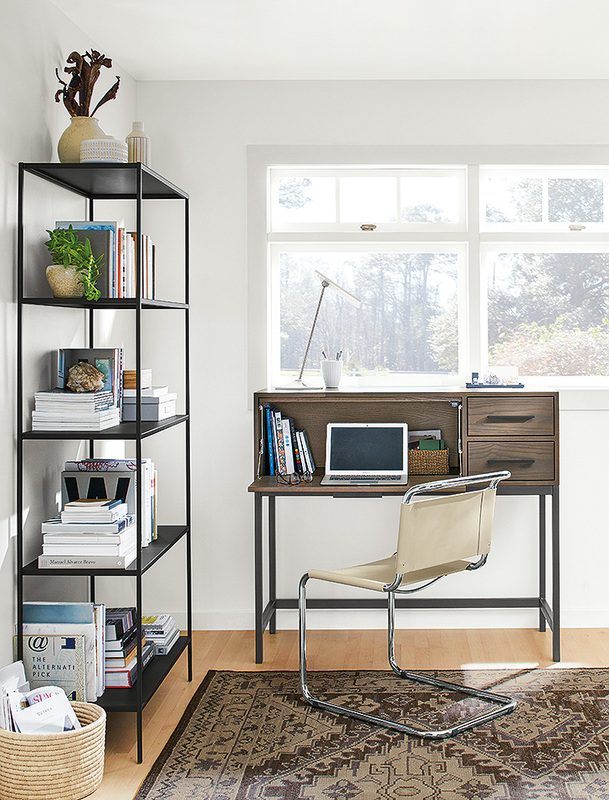 Features like a removable wood wardrobe bar and adjustable shelves make Hudson work however you need. 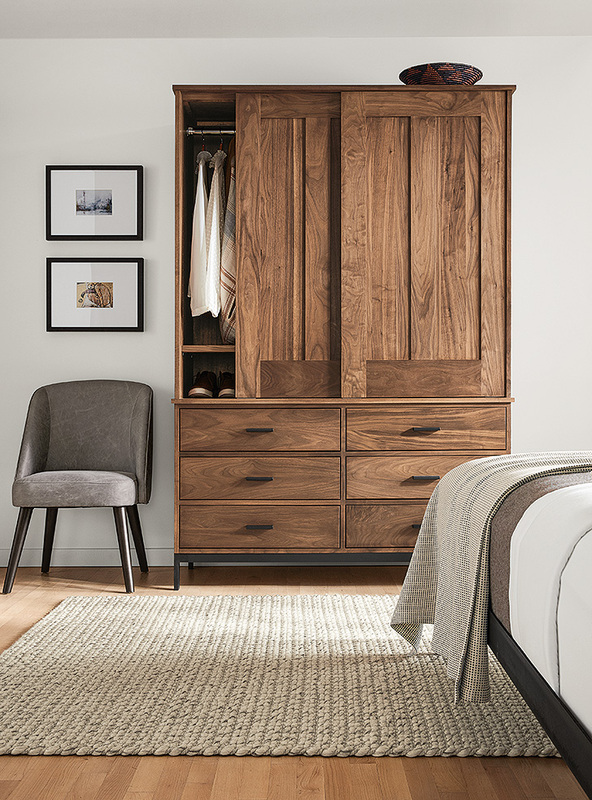 Our Grove armoire takes a cue from mid-century-inspired design and looks stately at the end of a hallway or tucked into a bedroom to hold extra bedding, pillows and towels. 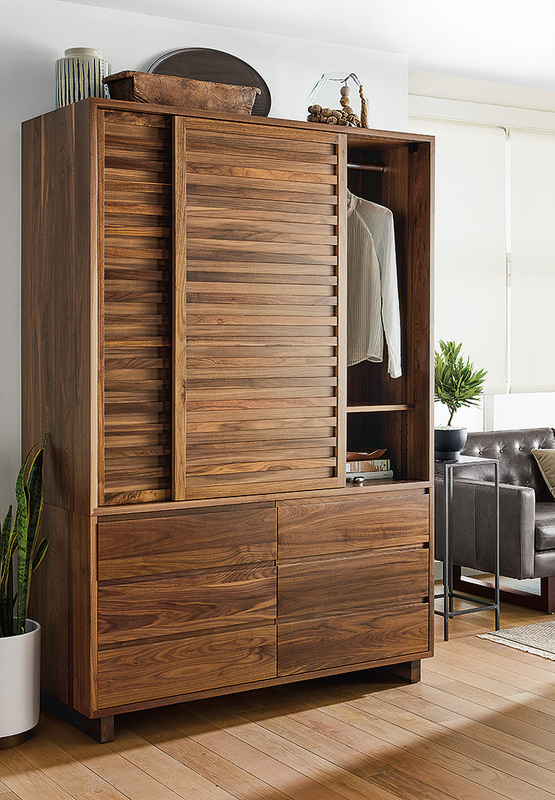 If getting a big piece of furniture into your home is tricky, consider a two-piece armoire like our Linear, Komo or Alden designs. You can detach the top cabinet from the bottom drawers for an easier fit. 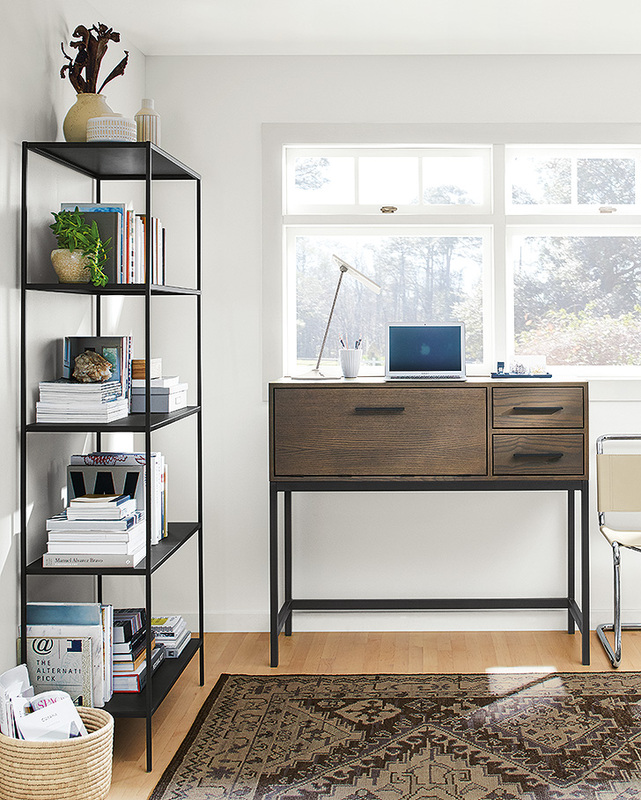 Our Alden office armoire adds a modern twist to a work space. Simply stand and use the top surface or use the drop-down desk while you sit and work. Two full-extension drawers have lacquered interiors. 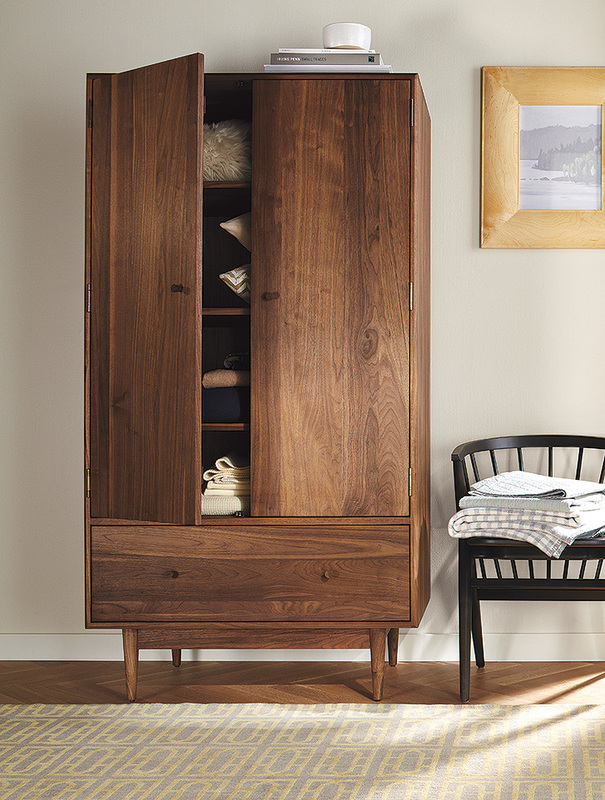 Shop all modern Room & Board armoires today.